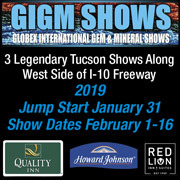 The JOGS Tucson Gem and Jewelry Show is one of the leading Gem and Jewelry events in North America for all gem and jewelry industry professionals, and it is one of the key gem and jewelry markets in the world. The JOGS Tucson Show brings together intercontinental manufacturers and wholesalers of jewelry, showcasing new designs and new ideas, direct miners with unique collections of rocks, gems and minerals, fossils. Exhibitors bring the best selection and largest stocks to choose from. At JOGS Tucson Show you can meet: jewelry designers, manufacturers, miners, wholesalers, mineral dealers, gem dealers, and many more exhibitors from USA, Mexico, Canada, Europe, Nepal, India, Thailand, Poland, Philippines, Brazil, Indonesia, Africa, Russia and many other countries. 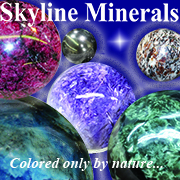 If you are a retail store owner, jewelry designer, interior decorator, online store owner, boutique owner or wholesale buyer, we would like to welcome you to the largest selection of wholesale rough stones, gem stones, and jewelry during the Winter Tucson Gem Show.